In a world without Prince, we have to fall back on a new social mortar—and my vote is for peanut butter. We spoke to Matt Ruscigno, MPH, RD, an ironman athlete who co wrote NO Meat Athlete about some healthy ways to get you thinking outside the (lunch) box to start incorporating this cheap, versatile and delicious legume into your diet. Whether you’re on the trail or hard up against a study or work deadline, there are plenty of times when the fridge is empty along with your stomach. This is where the store cupboard special comes in handy. Boil up some noodles, drain them and add peanut butter and some hot sauce. 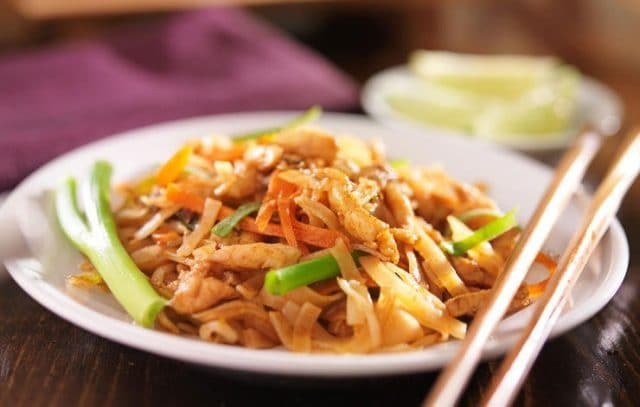 It might not be top-chef level Pad Thai, but the protein from the peanut butter and the kick of spice from the chilli will make it a more balanced and delicious alternative to many other quick options. As a bonus for those who like it mild, the fat in the peanut butter will help tone down the capsaicin in the hot sauce. 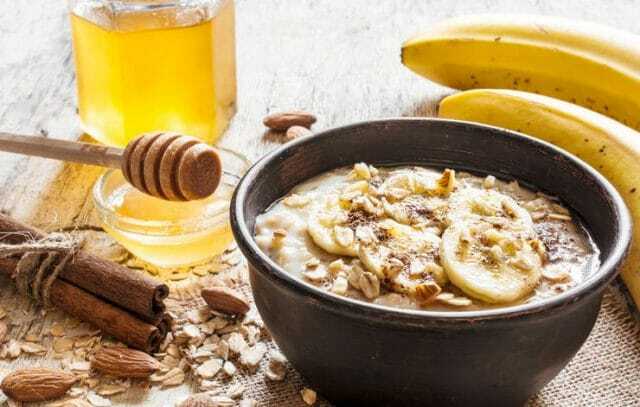 Oatmeal is a great way to start your day, but consuming carbohydrate alone (even a whole-grain carb like oats) won’t fill you up unless you add a little fat and protein. Luckily, just 1 Tbsp of Peanut butter packs 8g of fat and 5g of protein. Mix a generous spoonful into a hot bowl of oats for a delicious breakfast that’ll keep you full until lunch. 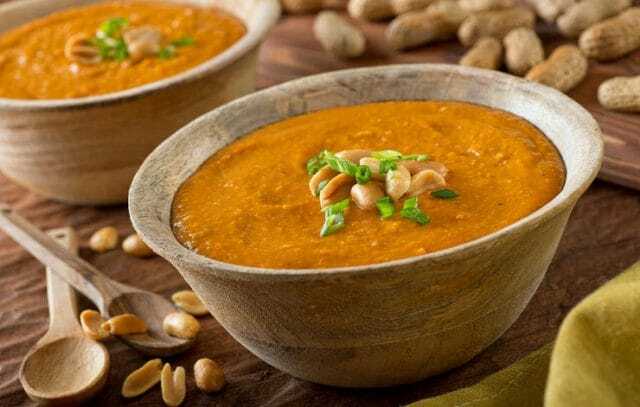 Derived from recipes based on traditional groundnuts, today you’ll find peanut butter mixed with sweet potato in many delicious West African stews. The legume not only makes a cheap and filling addition to the stew, but Ruscigno told us that it also packs a nutritional punch with “high levels of potassium, vitamin E and resveratrol” (the beneficial component of wine)! When combined with those sweet potatoes, this “could reduce inflammation and may help with recovery” after exercise. One of the best characteristics of peanut butter is that it doesn’t need any extra cooking or refrigerating, making it great for stashing in your desk or backpack. 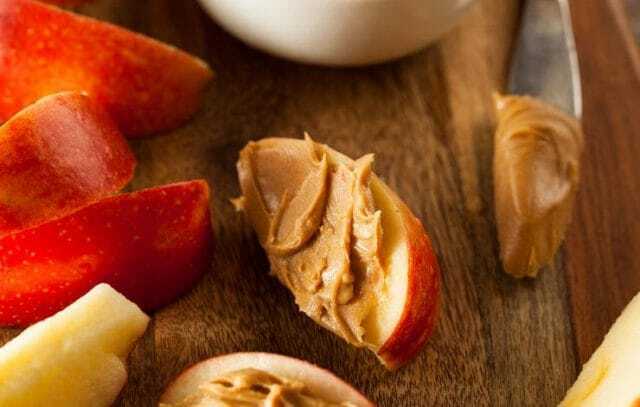 Just carry along some carrot sticks, pretzels, crackers or fruit to dip in it for a filling and easy snack. Ruscigno loves to heat a whole-wheat tortilla and add peanut butter and mashed banana for a cheap snack, which also combines peanuts and grains to create a complete protein. We all love the convenience and ease of smoothies, but they can also turn into sugar bombs that don’t really fill you up. 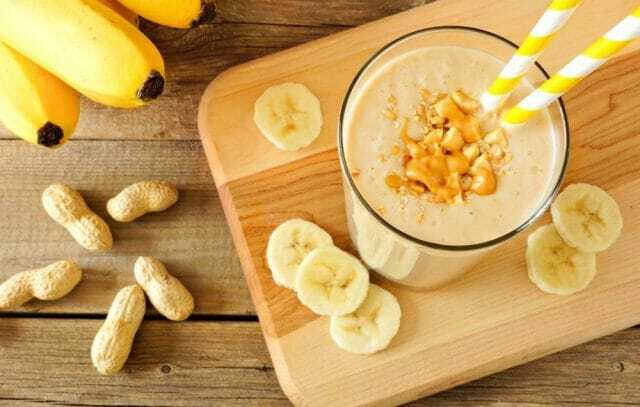 In order to balance the sugars in fruits with a bit of protein and fat, throw in a dollop of peanut butter to a banana smoothie and it’ll keep you fuller for longer. As a bonus, you will absorb Beta carotene from the green vegetables (which can be great in smoothies) more completely, according to the Federation of American Societies for Experimental Biology Journal.